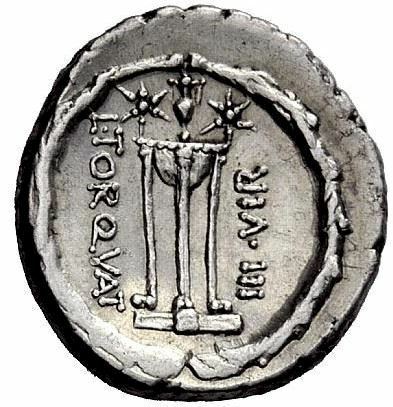 Lucius Manlius L.f. Torquatus was proquaestor in Asia under Lucius Cornelius Sulla in 84 BC, for whom he issued gold and silver coinage. He returned to Rome with Sulla in 82 BC where he fought at the Battle of the Colline Gate. He was later elected Consul in 65 BC. The cognomen Torquatus was first acquired by Titus Manlius Capitolinus Imperiosus, who defeated a giant Gaul during a battle in 361 BC, and took his torque - neck ring - as a trophy, placing it around his own neck.